May Day (International Labour Day) rally in Mumbai, India. English : May Day (International Labour Day) rally in Mumbai, India. English : Lots of hazelnuts. The Tulips of Shangri-La 2003 by Kusama in Lille, France. English : The Tulips of Shangri-La 2003 by Kusama in Lille, France. A first responder unit of Magen David Adom in the old city of Jerusalem. English : A first responder unit of Magen David Adom in the old city of Jerusalem. Three wise monkeys at Toshogu, Nikko, Tochigi Prefecture, Japan, a UNESCO World Heritage Site. English : Three wise monkeys at Toshogu, Nikko, Tochigi Prefecture, Japan, a UNESCO World Heritage Site. Avicennia marina, Cairns's beach, Australia. 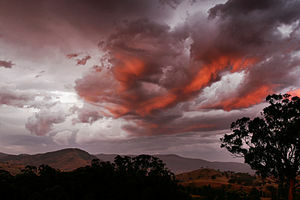 English : Avicennia marina, Cairns's beach, Australia. Himeji Castle, Himeji, Hyogo Prefecture, Japan, a UNESCO World Heritage Site. English : Himeji Castle, Himeji, Hyogo Prefecture, Japan, a UNESCO World Heritage Site. Exploded view of a personal computer. 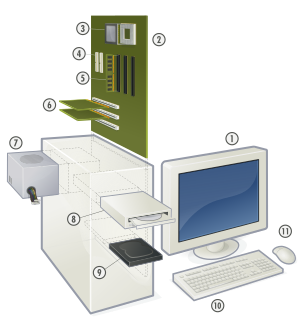 English : Exploded view of a personal computer. Night view of Jerwood Library, Trinity Hall College Cambridge, England. English : Night view of Jerwood Library, Trinity Hall College Cambridge, England. A panorama of Lower Manhattan as viewed from the Staten Island Ferry. English : A panorama of Lower Manhattan as viewed from the Staten Island Ferry. Two 0,28 inch (7 mm) small flies of the family Anthomyiidae. English : Two 0,28 inch (7 mm) small flies of the family Anthomyiidae. A Cpl. of 82nd Airborne Division reads a warning sign in the street Cologne, Germany, 4 April 1945. English : A Cpl. of 82nd Airborne Division reads a warning sign in the street Cologne, Germany, 4 April 1945. A panorama of the British Museum Reading Room. English : A panorama of the British Museum Reading Room. This page was last edited on 13 October 2010, at 18:29.